In 1990, the Hubble Space Telescope was launched into its orbit around the Earth. 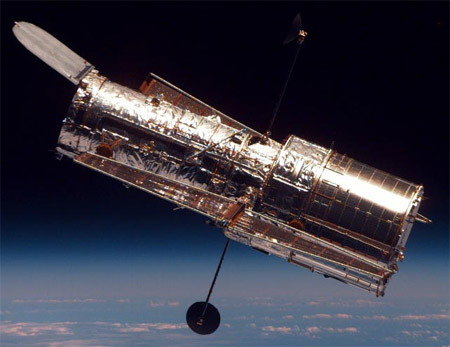 Over the past two decades, the world has followed Hubble's saga, watching as image after image revealed another part of the cosmos that would otherwise be invisible to our eyes. We absorbed the discoveries that the pictures sparked and witnessed the astronaut missions that brought the telescope new technology and extended its life. This year Hubble achieves its 20th anniversary, renewed and equipped by the latest servicing mission for many more years of astronomy. More than 30,000 objects have come under the telescope's gaze, each observation slotting another piece into the cosmic puzzle of the universe. Join us as we celebrate one of the world's most successful observatories, even now changing the face of astronomy, its final legacy still in the making.